Kids grow so quickly. Sometimes it feels like I’ve just sewn or otherwise procured a garment for my kids and it is already small for them. Or stained. Or ripped. 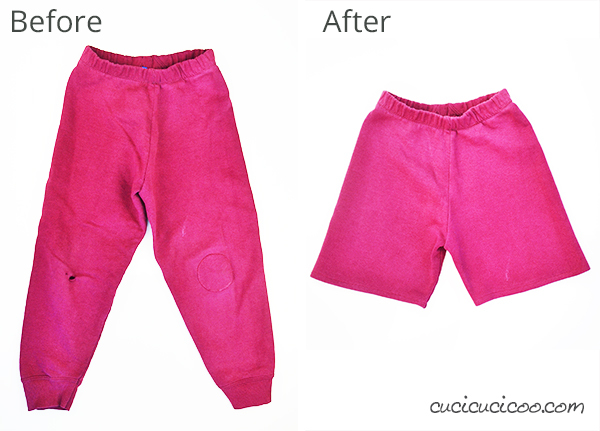 That’s why I love quick refashioning sewing hacks to make clothes for children as quickly as possible. Oh yeah, I also love saving money that way. 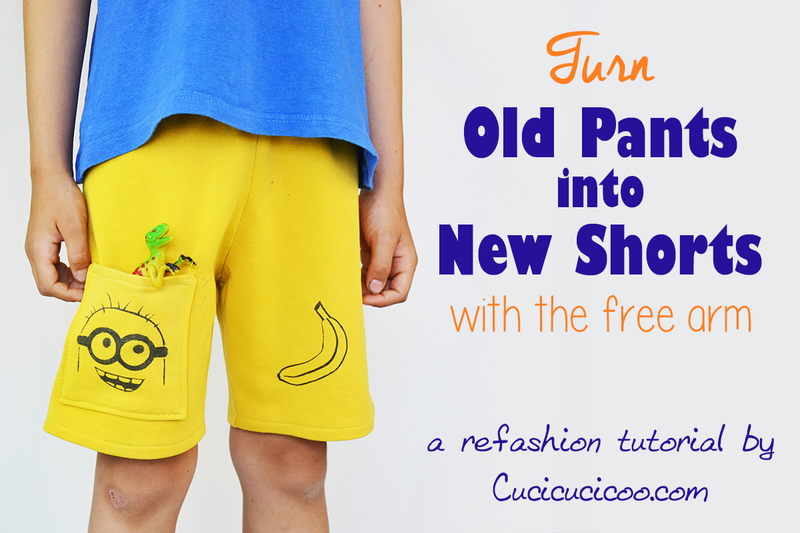 And one of the most well-known and easy refashions is to turn old pants into shorts. 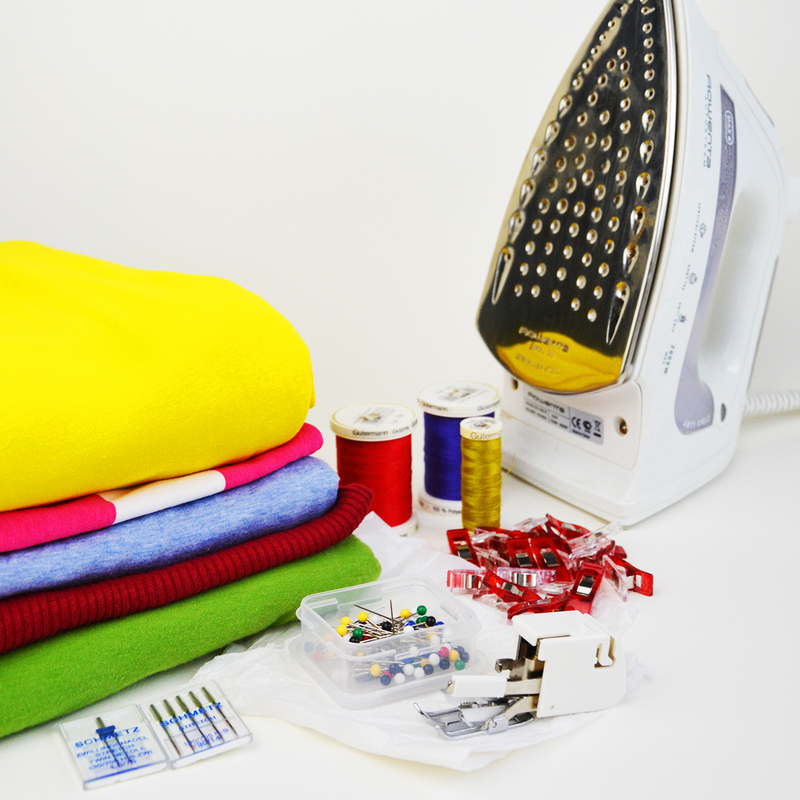 This is truly one of the most simple sewing transformations possible. 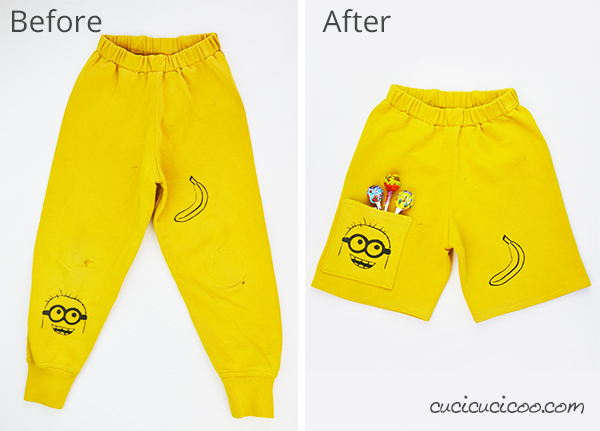 How quick it is to turn old pants into shorts! And so easy that it’s a perfect project for beginners! And everyone loves getting a little more wear out of clothing that would otherwise end up in the trash, right? 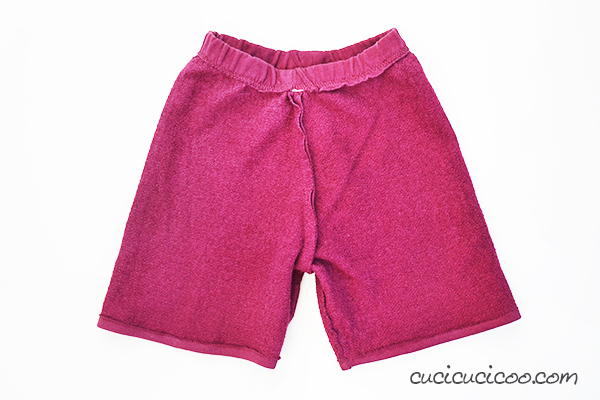 Even if the ones I show here are not the most gorgeous shorts in the world (the pants having been used a LOT), they are great for my little boy to play outside and get sweaty and dirty in! 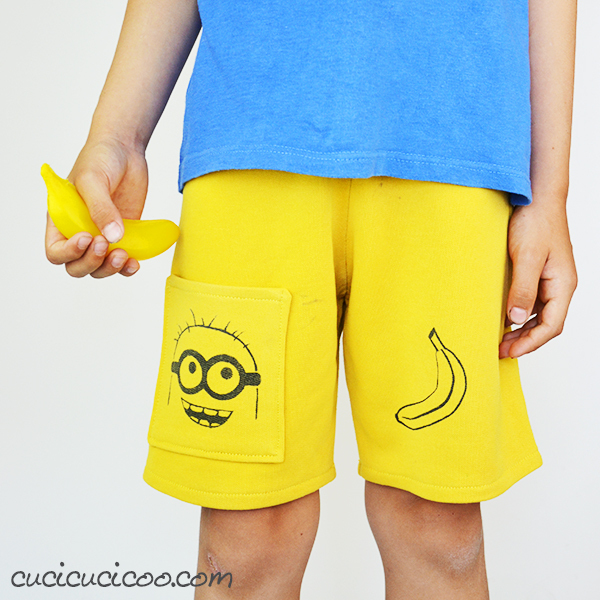 Ready to prepare a bunch of summer clothes for your kids from their outgrown pants? Let’s get started! 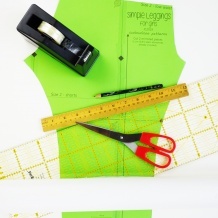 For the tutorial I am assuming that you know how to sew a hem. 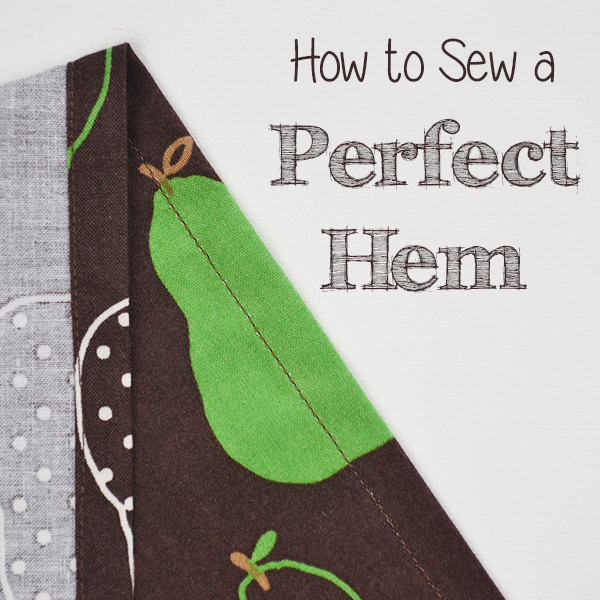 If you don’t, I highly suggest you read my how to sew a perfect hem sewing lesson before starting. 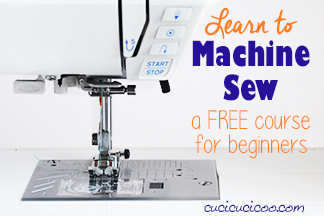 I also suggest you read this lesson on how to use the free arm on your sewing machine if you’re not familiar with it. 1. Flatten the pants out and fold them in half so that the inside leg seams line up to one side, the hems/cuffs at the bottom, and the waistbands and the top. 2. Cut across the top leg at the knee (left). Then cut across the bottom leg using the first cut as a guide. 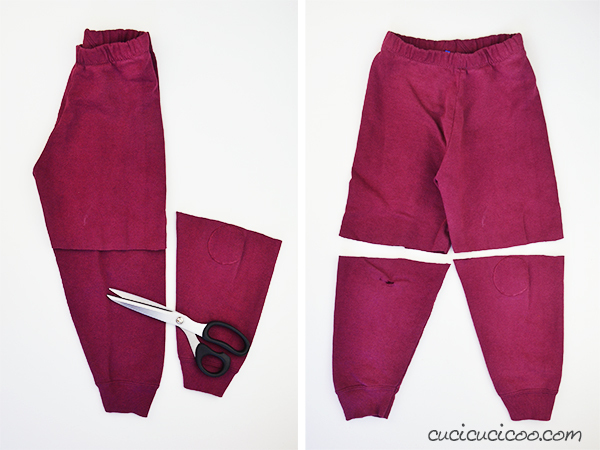 Unfold the pants and make sure that you have removed any torn parts (right). *Note* The pants I used had holes at the knees, so I just cut right above those. 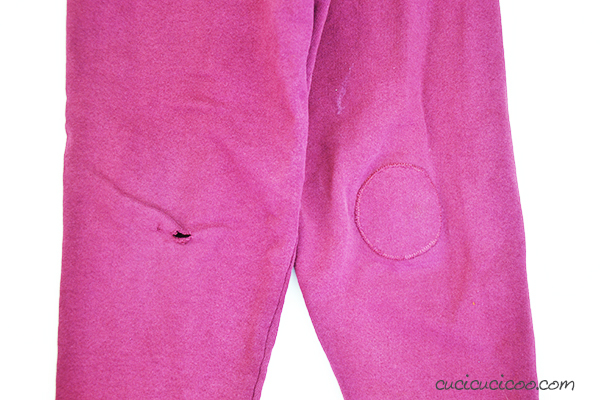 If your pants don’t have holes, try them on before starting and mark where you want them hem to fall with a safety pin. Cut 2 cm (or however much extra fabric you need to hem) below the safety pin. 3. 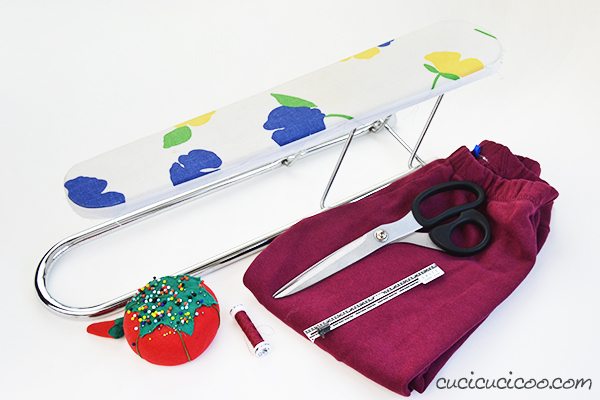 Turn the pants inside out and slip one leg onto the collapsible sleeve ironing board*. 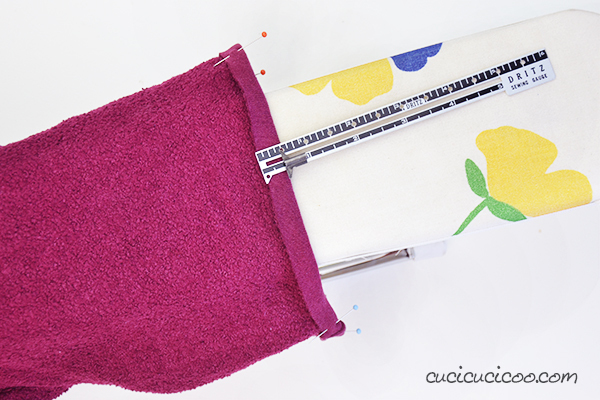 Use the ruler or sewing gauge* to fold the cut edge at the inside leg seam over 1 cm, or the amount you plan to hem them. Press and pin in place. 4. Repeat step #3 on the outer leg seam (or outer leg fold if there isn’t a seam). 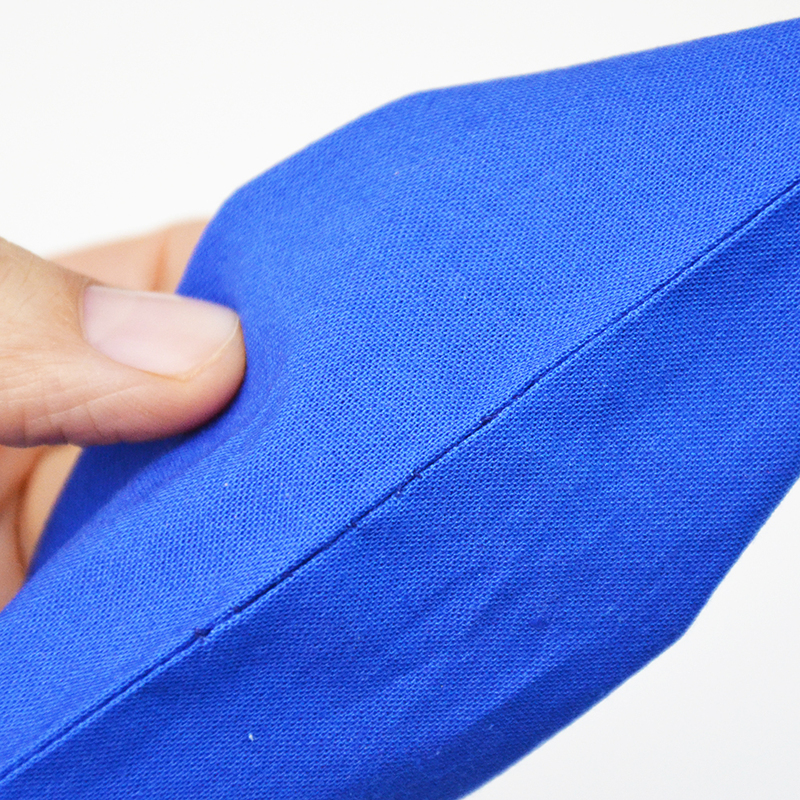 Then fold and pin the parts between the two seams. 5. 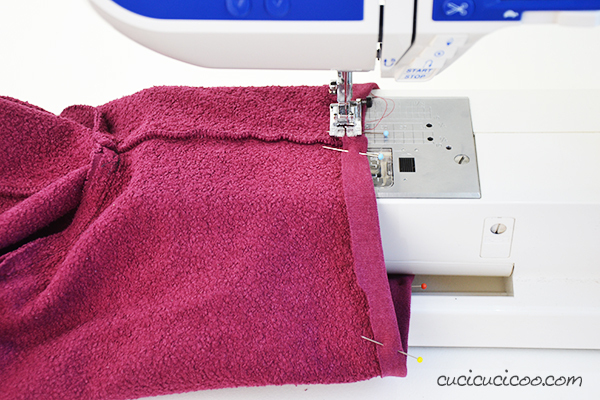 If you are sewing a classic hem with two folds, fold, press and pin a second time to hide the raw fabric edges. 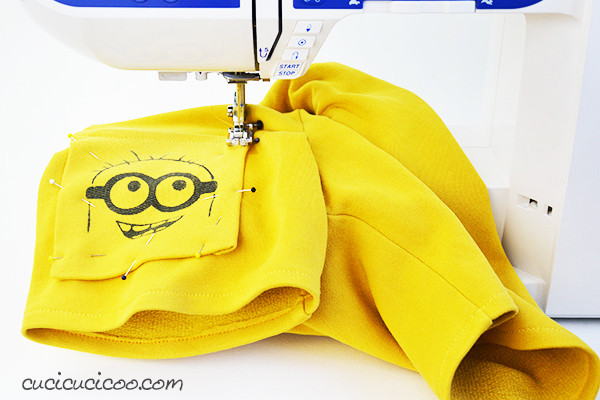 I was using non-fraying sweatshirt fabric here, so I only folded once. Repeat steps #3-5 with the second leg. 7. Starting from the inside seam, sew all around the leg. 8. Sew around the second leg, and you’re done! 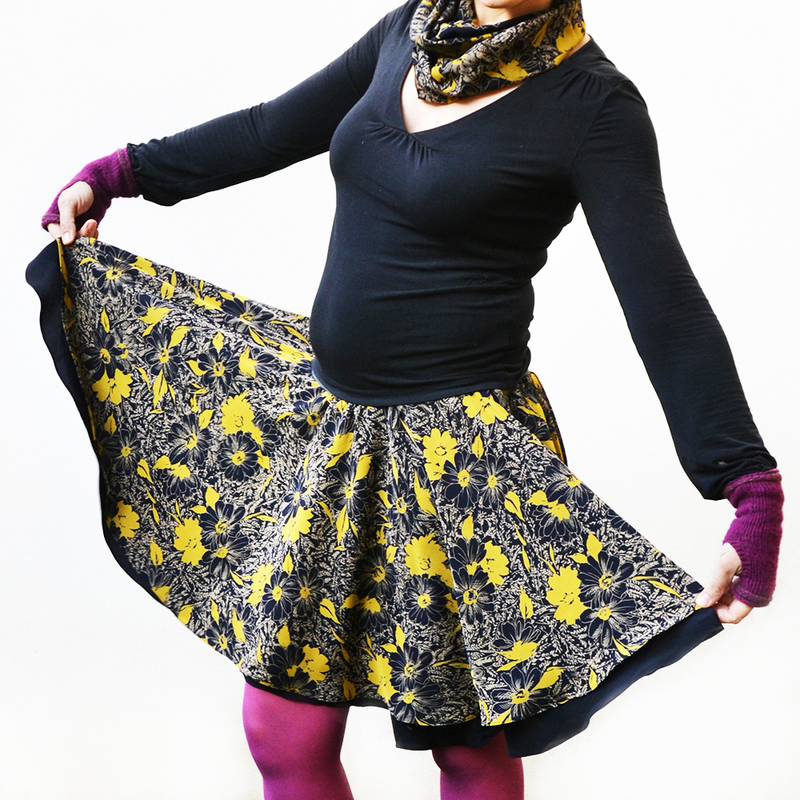 Give the new hems a good steam press to get rid of any wavy seams, and admire your new shorts! Comfortable and perfect for kids to play in! 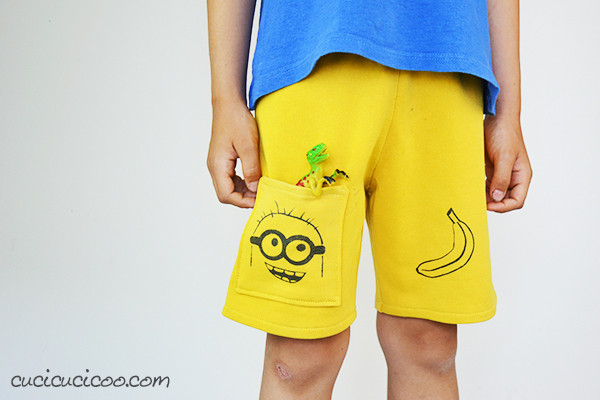 This way my little boy has a little pocket that’s perfect for storing stuff in! The Minion isn’t looking directly at the banana anymore, but I’m not going to lose any sleep over it. Pin the pocket in place. Then slip the pant leg around the free arm. Twist the pant leg around as best you can so as to position the top right corner of the pocket under the needle without catching the bottom layer underneath it. 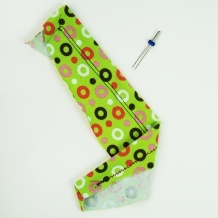 Then sew around the right side, bottom and left side of the pocket. This can be a little tricky to maneuver, especially if you are working in a central part of the leg. But with a little tugging of the fabric, you should be able to do it! Steam press the pocket, and there you are! Perfect for carrying lollipops as well as dinosaurs! So, what do you think? 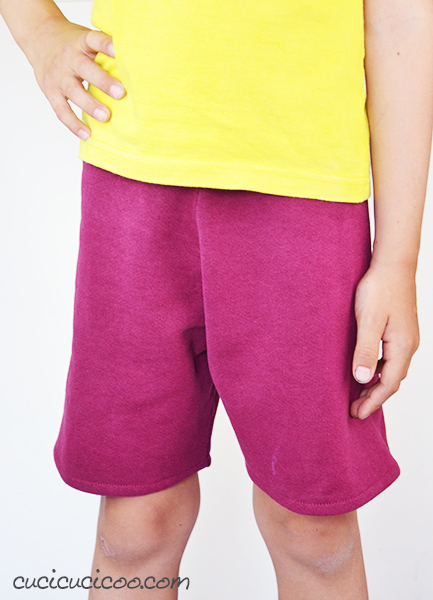 Could it possibly be any easier to sew simple shorts for the summer? 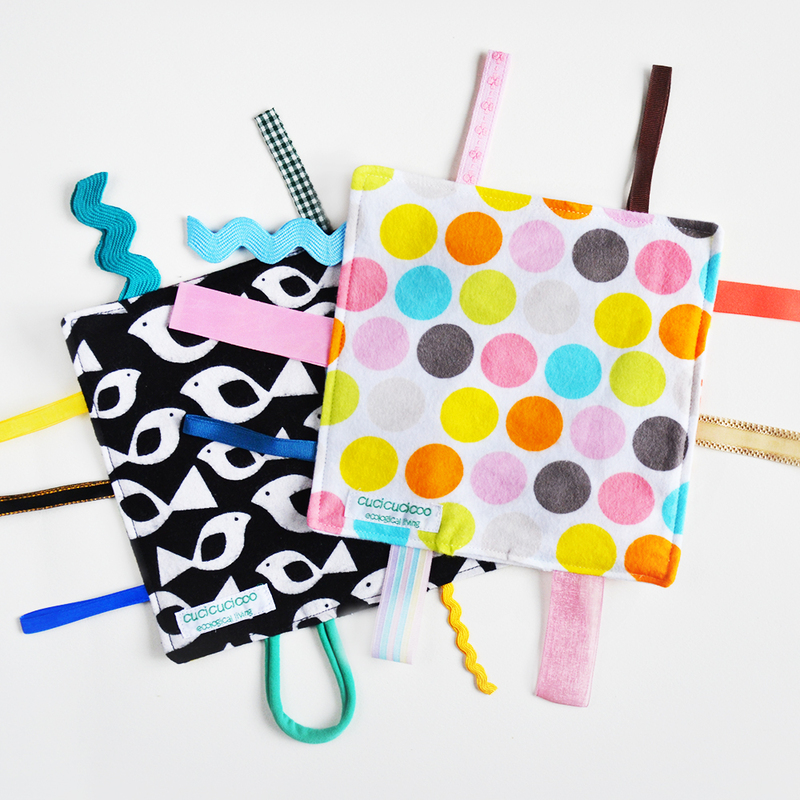 These are so useful and comfortable and my little boy has already been using all four pairs I sewed like this nearly every day! Got a little girl with outgrown pants? 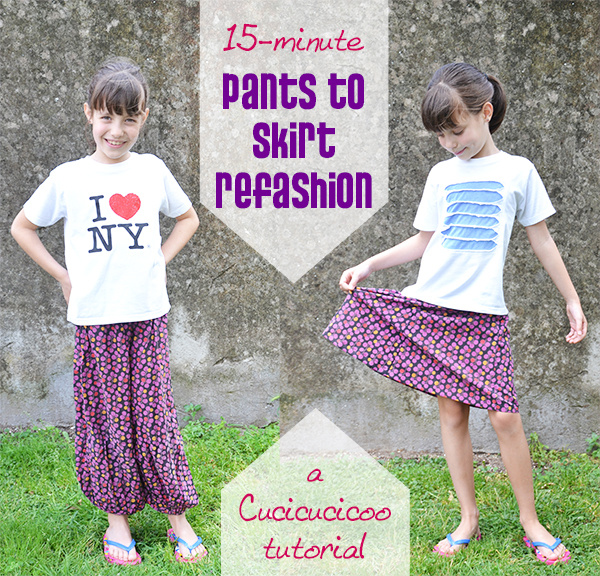 Then make sure you check out this tutorial for turning pants into a skirt in 15 minutes! 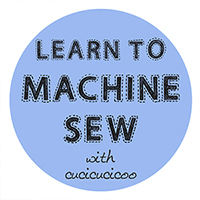 This lesson on how to turn old pants into shorts is part of the syllabus of Cucicucicoo’s Learn to Machine Sew beginner’s sewing course! Don’t forget to share pictures of your work on Facebook or the Cucicucicoo Creations Flickr Group! 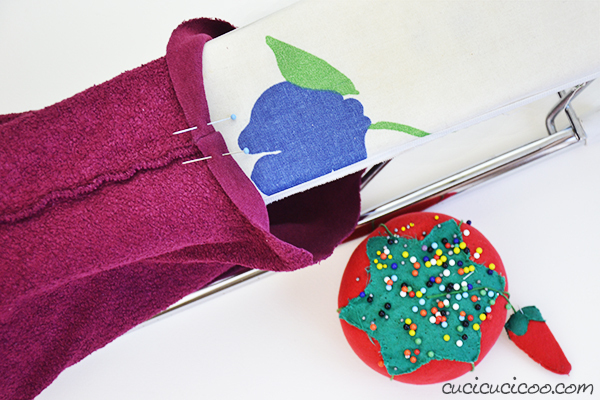 And if you loved this tutorial, don’t forget to Pin It! Love the photo of the dinosaur peeking out of the pocket. A great way to extend the life of clothes, Lisa. Featured today. We always have to try to get dinosaurs in our posts any way we can! 🙂 Thanks so much, Pam! 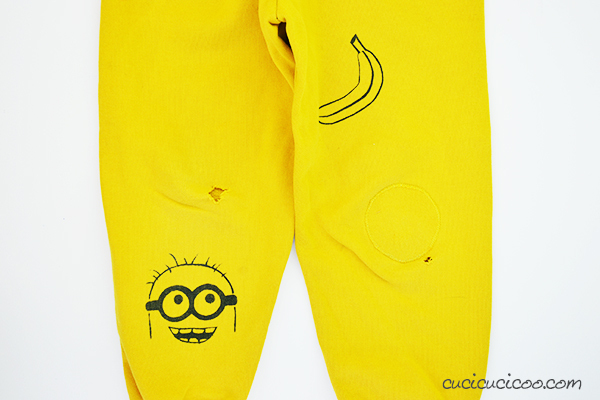 Lo faccio sempre anche io con i pantaloni lunghi! Vorrei provare, usando la stessa tecnica, a farlo per delle magliette a manica lunga per farle diventare a manica corta… Misuro una manica corta che va bene aggoungendo i cm per l’orlo ed applico la stessa tecnica, dici che va bene? 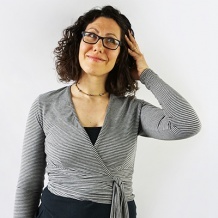 Ciao Valentina, ottima domanda, ed è proprio questo uno dei tutorial che vorrei proporre a brevissimo! 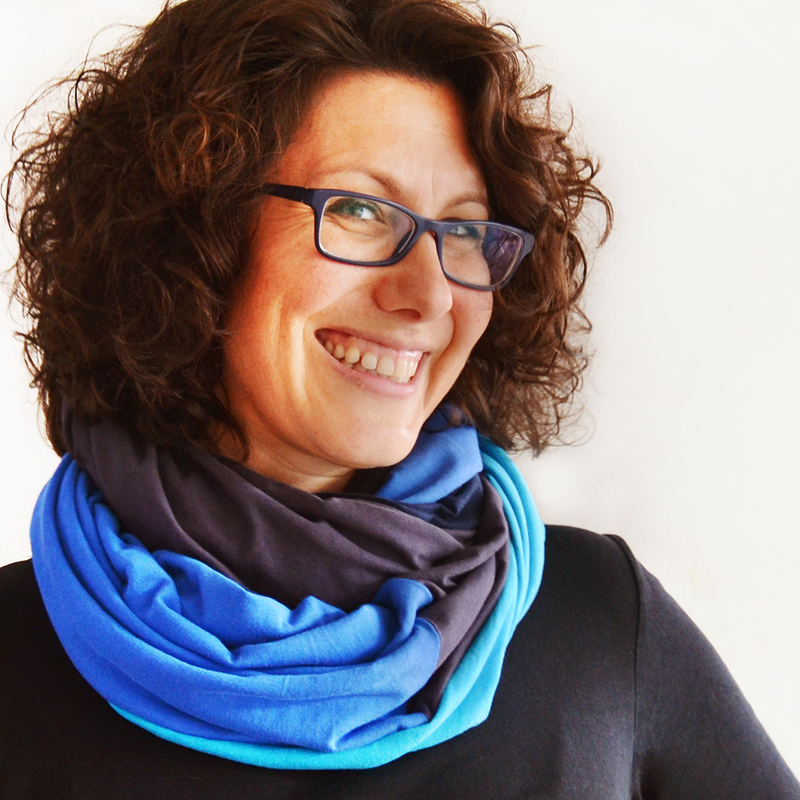 Per la maglietta, si potrebbe fare così, ma non puoi usare il punto dritto perché la stoffa delle magliette (se parliamo di T-shirt, per dire) è elastica, e quindi serve un punto elastico. Consiglio l’uso del doppio ago/ago gemello (anche questo un tutorial che verrà spero a breve! ), ma va bene anche il punto zig zag o altro punto elastico. 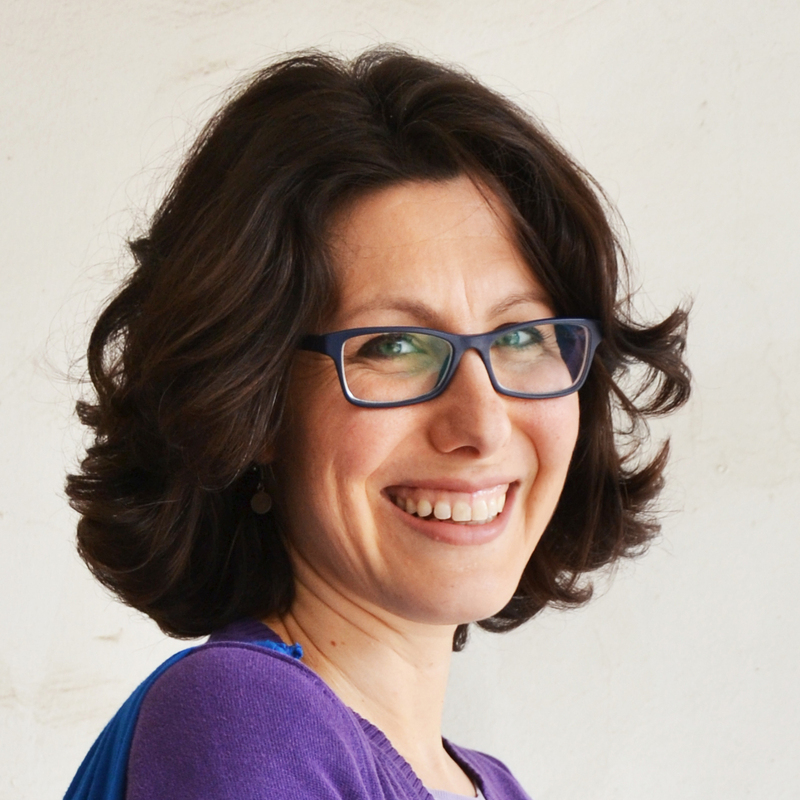 In quanto si vede di più la manica, consiglio di piegare due volte in modo da non lasciare a vista il bordo della stoffa tagliata. Quindi lascierei 2 cm quando tagli la stoffa.